Kitsilano is a very popular neighbourhood in the city of Vancouver, British Columbia, Canada. It's located on the Westside of Vancouver, with English Bay to the north, exclusive Point Grey to the west, False Creek to the east, and Arbutus to the south. 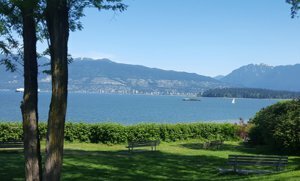 Affectionately referred to as "Kits" by the locals, Kitsilano is known for it's laid back lifestyle, great walk score, beach and trendy shops. It has a wide range of condos, townhouses and 1/2 duplexes, plus houses on beautiful old growth tree lined streets. Speckled with character, heritage and modern homes, there is something for everyone. The Kits area north of West 4th Ave is the most sought after area of Kits, as it is walking distance to the shops on W 4th Ave, parks and the Kitsilano Beach plus boasts homes with stunning ocean views, as well as, exclusive waterfront homes that sell for millions. Popular activities include: shopping and dining on trendy W 4th Ave (stretching approximately eight blocks), blocks from Pt Grey sailings clubs (Jericho Sailing Centre & Vancouver Yacht Club), Kitsilano Beach (with nearby doggy beach), Kitsilano Swimming Pool (filled with ocean water), visiting H.R. MacMillan Space Centre & the Museum of Vancouver, local farmer's market, enjoy ocean views at Margaret Pigott Park, relax at Vanier Park (popular for kite flyers, and local events such as the Children's Festival and Bard on the Beach Shakespeare festival), Vancouver Maritime Museum, cycling routes, and so much more. 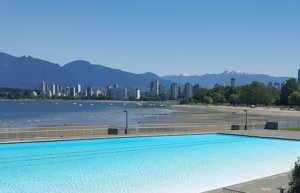 No wonder the locals love Kitsilano! View all Vancouver neighbourhoods or the current Market Report. Courtesy of AWM - Alliance R.E. Group Ltd. Listing courtesy of AWM - Alliance R.E. Group Ltd.